For the last two months I've been working on secondment up towards the Paris end of the CBD. After 3+ years working down the Beirut end (or as I prefer to think of it, the Delaware end) of town, I'm loving my sudden proximity to places like Chinatown and Cumulus Inc, and lunching with friends who work up thataway. 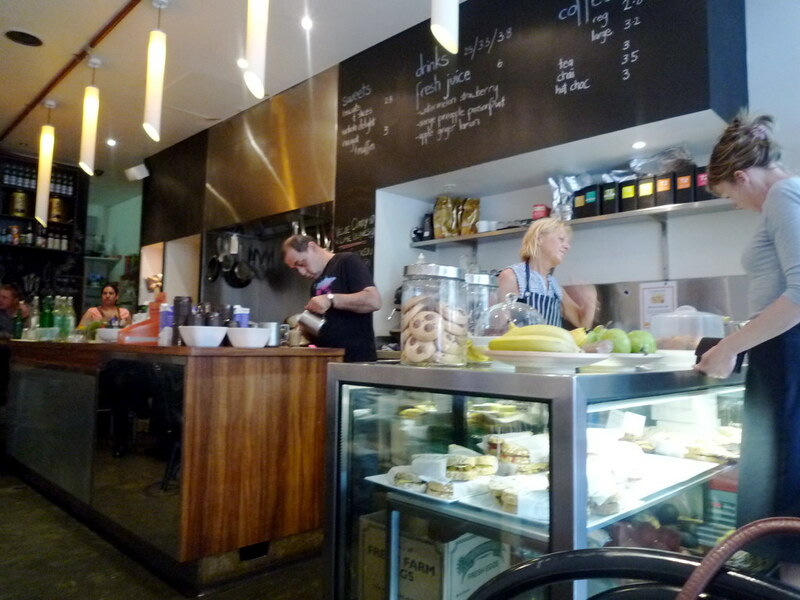 Today I had lunch with Miss M, who took me to a little cafe around the corner from Liaison called Mamma's Boy. How cute is this back blackboard listing some of the cafe's recipes, eh? 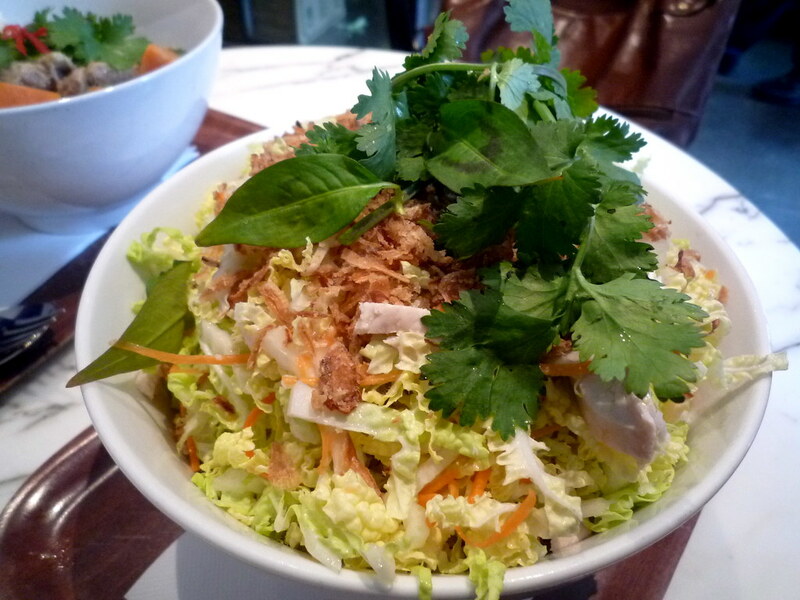 Mamma's Boy serves baguettes, toasties and quesadillas but if you visit you simply MUST order this Vietnamese chicken salad ($9.50), containing poached chicken, wombok, carrot, fresh chilli, fresh ginger, coriander, Vietnamese mint and crispy shallots. It's fabulously fresh and delicious and the serving is HUGE (as I mumbled on twitter, I think I ate an entire head of wombok). 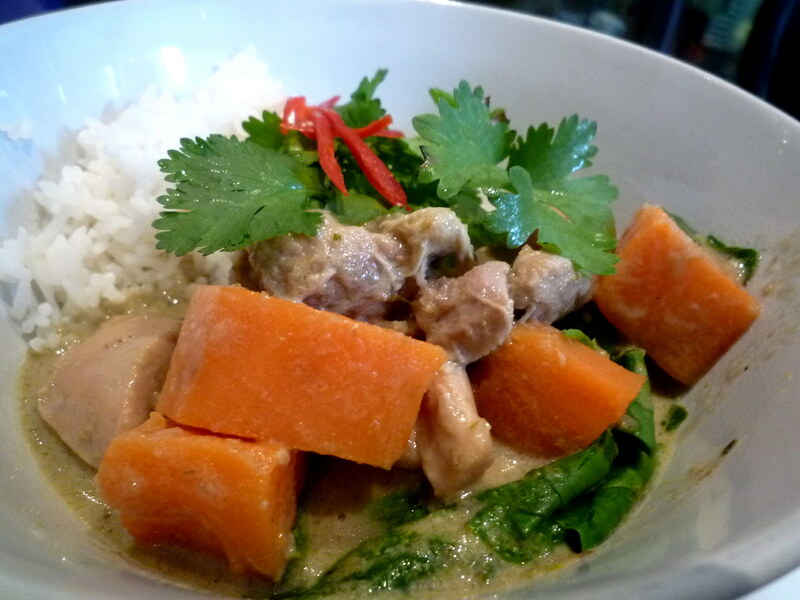 Miss M ordered the Thai red duck curry with coconut rice ($14.90), which she loved. I mean to come back one morning for breakfast - I want to order the Afghani eggs served with fresh chilli and lime. 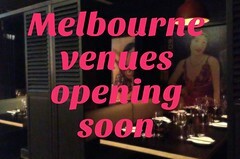 Oh, and GUESS who's popping up again in the city for another few months (a mere 90 second walk from my current building)? 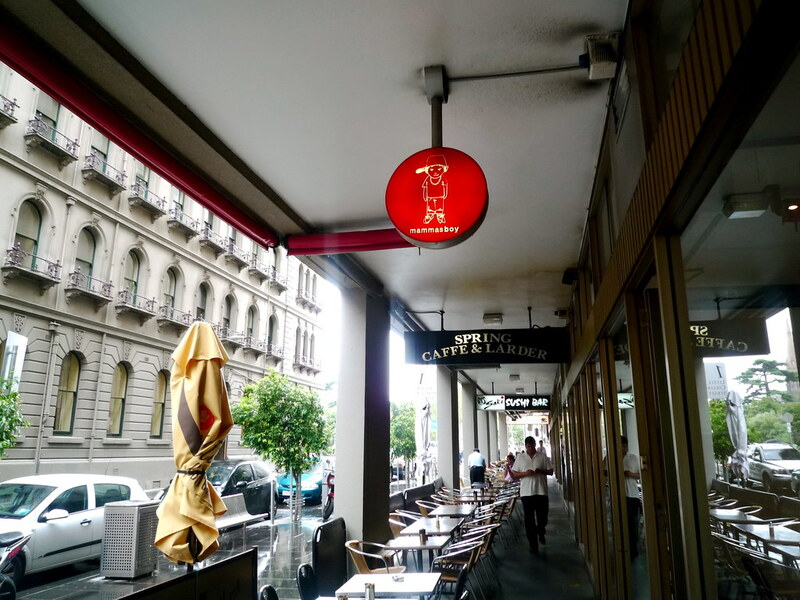 Last year, for the month leading up to Christmas, St Kilda baker par excellence Baker D. Chirico set up a pop-up shop in Crossley Street in the city (opposite Gingerboy), selling the insane array of sweet treats you see before you in the above photo. Thanks to Joyce from the blog MEL HOT OR NOT breaking the news on twitter this afternoon, the word on the street is that the pop-up shop is BACK, starting on Tuesday and open four days a week up until Easter. 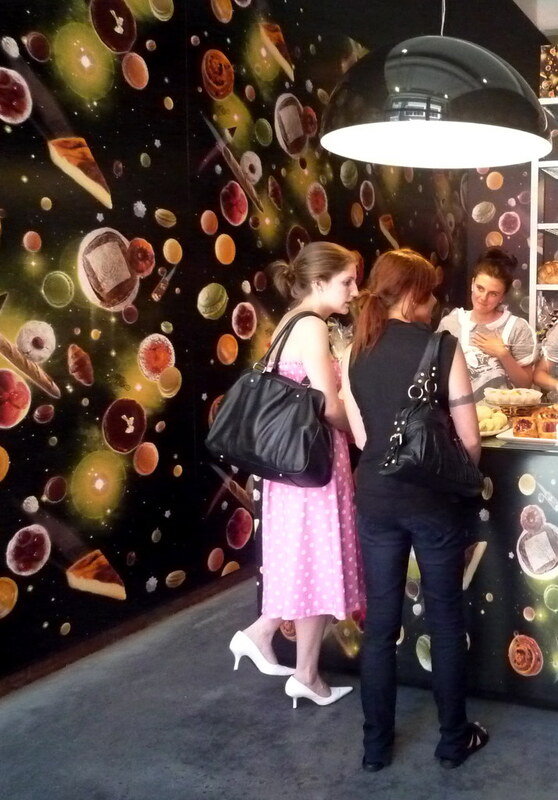 Read Joyce's comprehensive review of the pop-up shop here. I love love love their pistachio nougat, and I think their macarons are the best commercially-available macarons Melbourne currently has on offer. OUTRAGEOUSLY close to my office building! 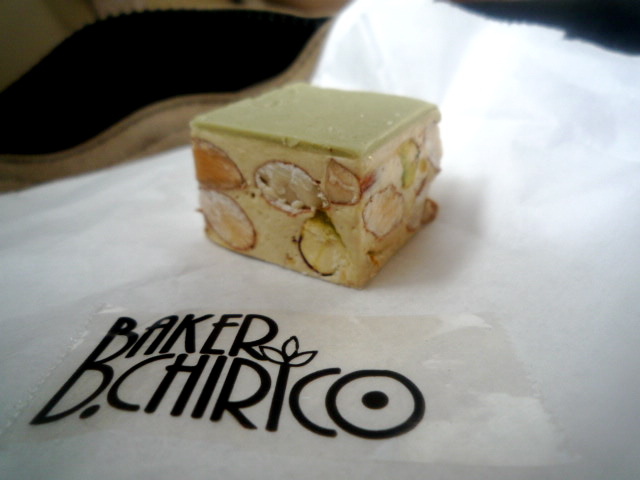 Firstly I think I went into cardiac arrest about Baker D.Chirico "popping up" again. The salted caramel macaroons were our sugar fix (and how) leading up to Christmas. We needed consolation when we got back to work in the New Year and you can imagine the devastation we felt at arriving at an empty space. Not cool! Yum! Thanks for the heads up. Thanks for the shoutout! I'm very very excited about Baker D Chirico opening up again...sadly no pannetone I expect, but I guess we can expect hot cross buns? Nice review of Mamma's Boy as well, will put it on my to-eat list. 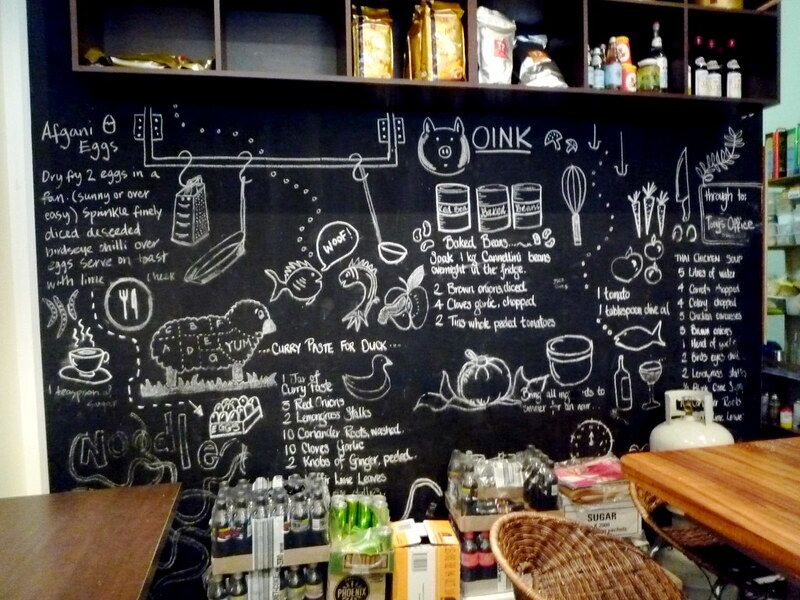 That blackboard is too adorable, and very Melbourne! Ah Mamma's Boy - I've always liked that little place, and their coffee is pretty good to boot. 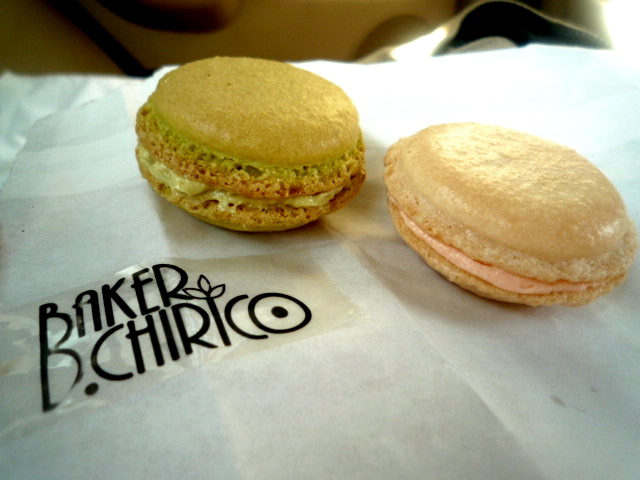 I'm very excited about Baker D. Chirico, hopefully they will stick around a while this time! 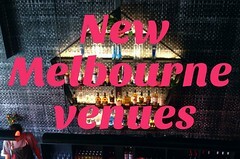 im definitely goin to sniff this place out when i pop down to melbourne in 10 days! I NEED to get to that bakery. I think I shall go next week. Just because. Macarons are always a winner. The ones at Fraus are pretty good too - not a huge array of flavours but they are very nice. wow you're making me really hungry! Oh dear, Macarons are so addictive. I used to work near Ladurée in Paris, it was a dangerous time! enjoy it while you can!! I ordered the Red Duck Curry today, and was pretty surprised when I got just a leg of duck, some rice, the curry sauce, and some crispy shallots and two thai basil leaves... no vegies at all, and it looked nothing like that picture! I wonder what's up with that? And I wish I'd checked when the bakery was open (i.e. read this post properly, haha), I showed up after lunch and it is shut on Mondays, whoops! pop-up store?! Love the concept and yes, those macrons look amazingly fresh. Def checking this out. 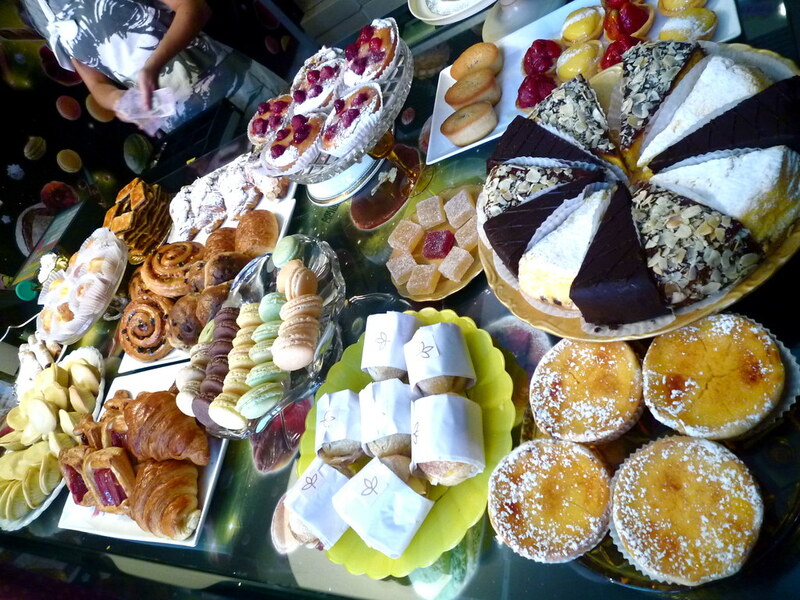 I am desperate to try the macaroons – every time I’ve popped over they don’t have any! The consolation prize? Candied grapefruit cookies (gluten free, made with almond meal). De Chirico is dangerous to work close to!